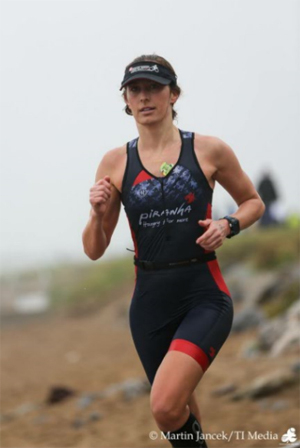 I’ve been doing endurance sports, mostly triathlons, for years and started S&C training with James last November with the idea of building up some muscle strength. Little did I know that a year on I would be the healthiest and fittest I’ve ever been and have had one of my best race seasons to date! 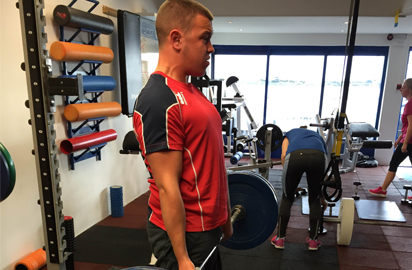 Unlike other S&C classes that I had been to, James really focuses on the person and their goals. Each session is very targeted – there isn’t a one plan fits all, rather everything is carefully thought out and tailored to your needs. As important as the strength training, as I’ve come to learn, is the nutrition. 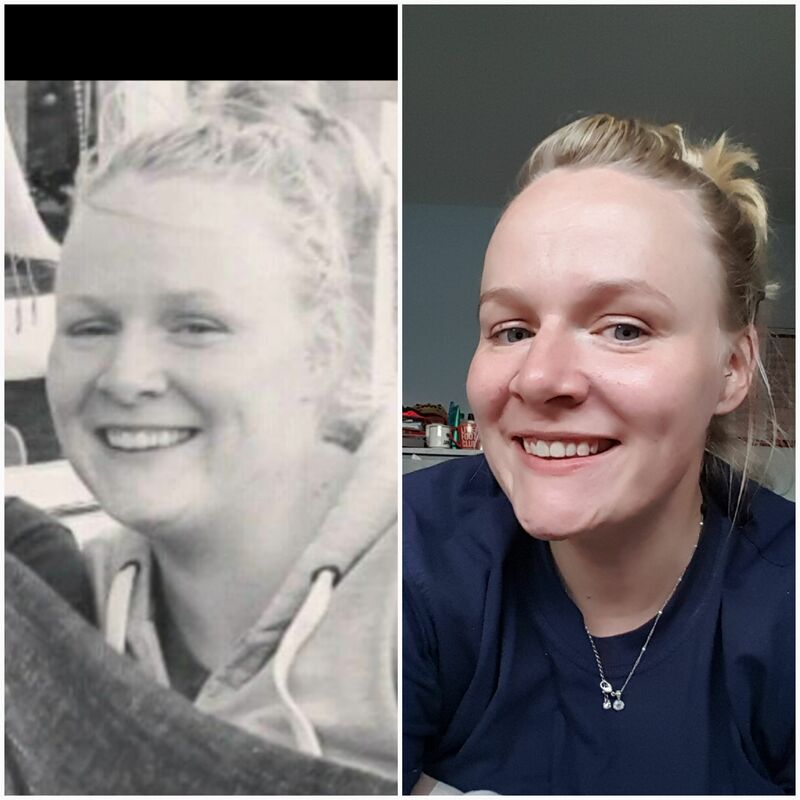 I’ve completely changed what and eat and when I eat it and found it has made a huge difference. I’ve never felt stronger and I’ve found that I recover much quicker from hard sessions. Couldn’t recommend James, or The Edge, more highly for any athlete. From running, to basketball, to triathlon, James is always up for a challenge! His broad knowledge base, innovative thinking and passion, puts me in the best possible position to progress in my sport. James always wants to be the best he can be, to make you the best you can be. 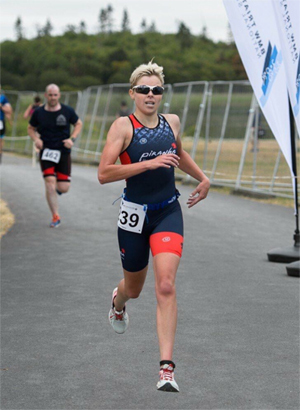 His individualised training not only builds a strong, healthy and knowledgeable athlete, but more importantly, his approach helped me build confidence to believe in my own ability to reach new heights. No matter your sport, athletic ability or skill level, James has the knowledge, drive and experience to help you achieve your goals. His energy and enthusiasm is contagious! James has helped me to become faster, stronger and more effective in my sport – he has given me ‘the edge’ I need to succeed! 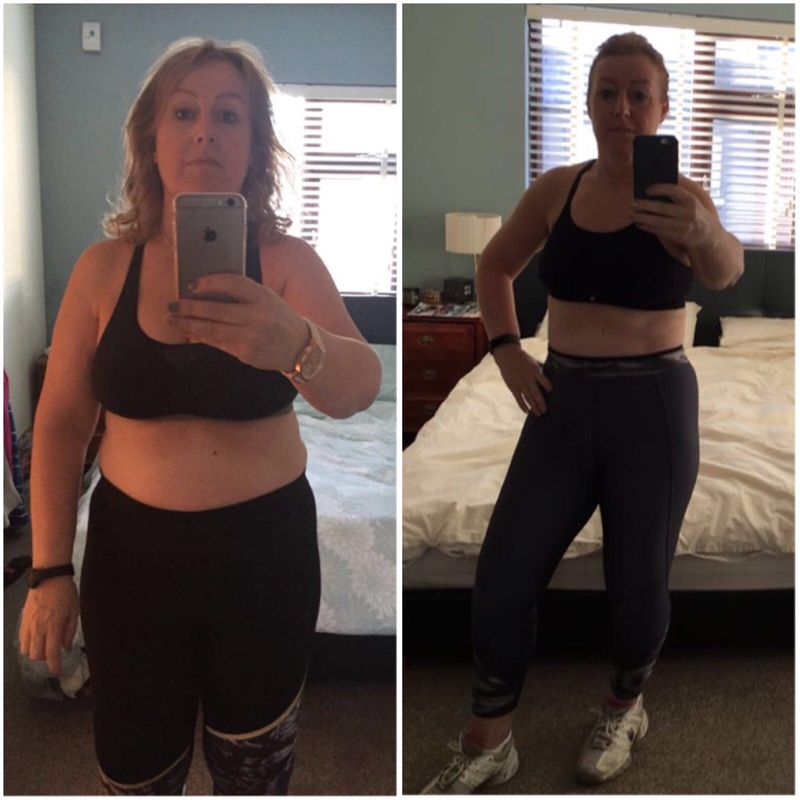 I began training with Chris in April 2018, while I had lost some weight I was stuck in a rut and needed something to change. I was so nervous going to the gym the first time, but that was eased once I had a chat with Chris. He asked me what my goals were, this wasn’t just about going to the gym but a lifestyle overhaul and I was ready to embrace this change. 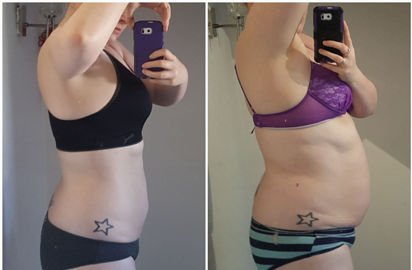 I started with one PT session a week and was in pain for days after it, but that was a good thing, I could feel the change happening. Chris’s support was immense and I don’t think he fully understood how much the texts he sent mean to me. Just that reassurance that I was doing well. After some persuasion I did a class in The Edge ( I didn’t think I would be able to keep up). This was a new concept for me, it was pushing my comfort levels out. But all the time knew Chris wouldn’t have suggested it if he didn’t think I was capable. Over the past 7 months the change has been amazing. I’m reaching my targets and setting new ones too. Chris is always only a text away for any of my queries. I am so grateful for this and I think he underestimates how much this constant support has helped me during this time. Are you overestimating the amount of calories you are burning during your workout? According to a study conducted in Stanford University on calorie and exrcsie counting devices, Apple, Samsung and fitbit included, the step counters where accurate but the calorie counting ability has been completely overestimated. The researchers concluded that a 5% difference would be acceptable but a 27-96% had been observed between samples. The obvious issues that many trainers/ trainees are seeing is alterations in daily calories in response to the “inaccurate” data received from the calorie counting device, which obviously leads to issues with motivation, results and measurements. 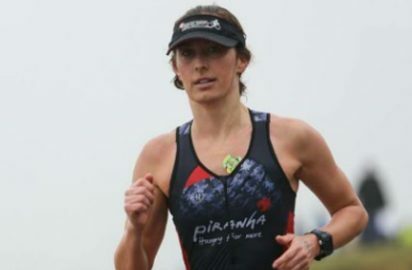 To combat this its important to note that unless you are enduring long bouts 1 ½ – 3hour training sessions for example long distance running/triathlon or Crossfit then according to a recent publication by the Mayo clinic, your weight loss goals should be controlled by diet “reducing calories is a much better predictor of weight loss than exercise alone”. Like always it’s best to talk to an exercise and nutritional professional and leave the frustration and guesswork aside. Why not drop us a mail to info@theedgeclontarf.com and we can get you started on your road to a happier and healthier you! 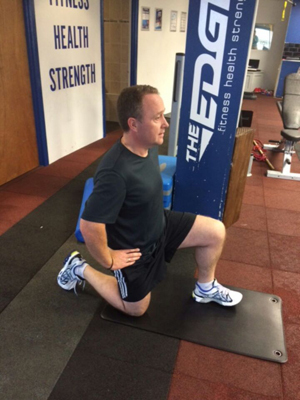 I initially began training at The Edge to lose some weight for my wedding. Starting off I joined the X-fit programme, attending semi-private sessions twice a week and occasionally trained at the weekend. I found X-fit perfect for getting me started, with the team helping to set achievable goals for the 10 weeks and educating me on nutrition as well as offering healthy lifestyle tips. 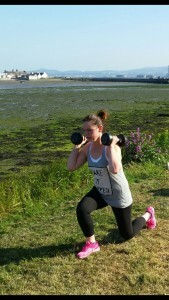 As my wedding day loomed I decided to start personal training alongside of X-fit. As soon as I added PT with Harry to my weekly training I noticed a difference. 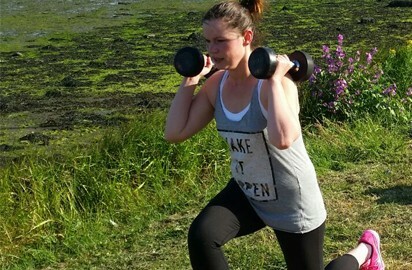 I was getting stronger week on week as well as losing weight. Harry is a great trainer, always pushing me and making each session more challenging, but I loved it (just not all the burpees). I suffer with lower back problems but this didn’t impact my training, Harry would tailor my sessions whenever I was having problems. And now, thanks to my training I have noticed huge improvements in my core strength and in my ability to complete more sit ups / core exercises, as well as lifting progressively heavier weights & generally push myself harder throughout each session. I find I actually look forward to my workouts. 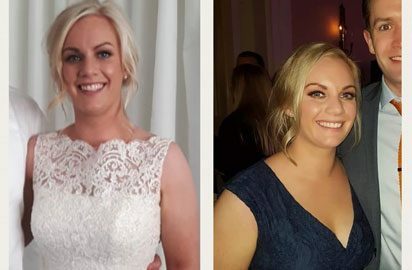 Harry has an obvious passion for fitness and health and thanks to him I shed 5kg and 4% body fat in the run up to my wedding and I couldn’t have felt better on the day. I would 100% Harry and The Edge for anyone looking to start lose weight or improve their fitness. After many attempts at losing weight, I was lucky to find a gym-next-door: The Edge. I started training with Aaron in the morning X-Fit program. When I joined, my ultimate goal was to hit 102 kg within 12 months. 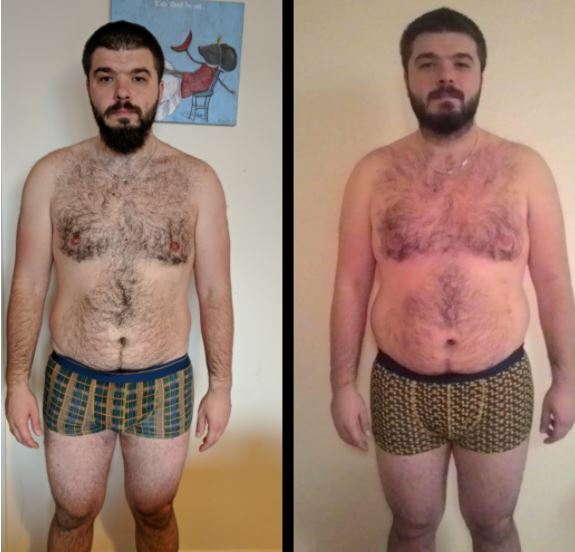 Thanks to his tailored guidance and tips on both exercise and nutrition I was able to go down from 116 to 107kg and lose 6% body fat in less than 4 months. Aaron was great at finding ways to motivate me with challenges both in-class and out of class. But most importantly, training became a lot of fun, and now it’s part of my routine. 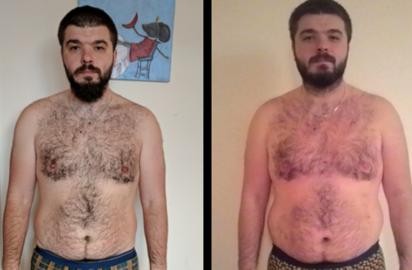 In May 2017 with great encouragement from Chris I started at The Edge Gym and opted to join the classes, participating in 3 classes a week at 6.15 am. I thought I would initially join for a month to give me a boost for my summer holiday and quickly found myself hooked. I was made feel very welcome and encouraged by Aaron,Harry and Sean Paul. After a couple of weeks I could really notice a difference, I was eating and sleeping much better, the inches and weight started dropping so I kept going and now here I am 5 months later and I have shed 13kgs and 5% body fat. A huge thank you to all at The Edge team for the consistent encouragement and patience, they are a fantastic group and the range of classes are great, suitable for all ages and they change them up every couple of weeks so your always being challenged. Chris gives me great nutritional tips and I now eat 6 times a day rather than 3 never letting myself get hungry. Role on Christmas and that little black dress. Rob has always had a keen interest in sport, more specifically GAA. 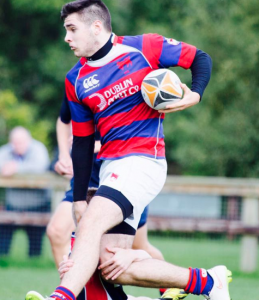 This eventually led Rob to taking up a Certificate in Health & Fitness which was accredited by the University of Limerick, part time, while continuing his study of Human Resource Management full time in NCI. 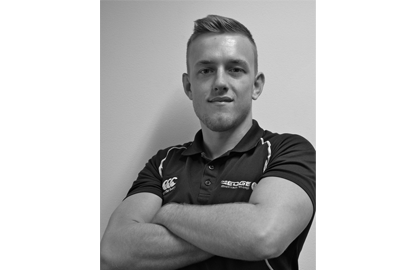 After realizing that he had more interest working in the fitness industry, he transferred to DIT to study Leisure Management. Rob has been working in the fitness industry for the past four years. 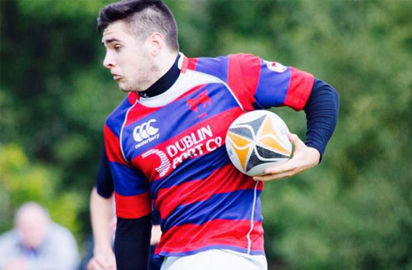 During his time as a student in DIT he was fortunate enough to intern at DCU Sport .where he was given to opportunity to learn from some of the top coaches in the country. 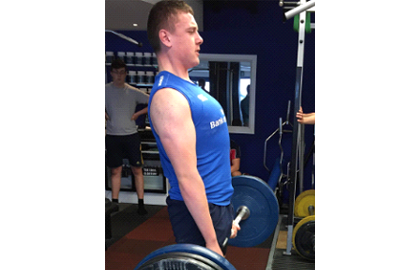 This further harboured an interest in strength and conditioning, which he took with him to Westwood Clubs, where he gained experience working with a vast variety of clientele. Rob has been working in The Edge: Clontarf since 2016. During this time he has benefited from the experience and knowledge of Dave and James. It has also afforded him the opportunity to take part in workshops with Dr. Quinn Henoch and Danny Lennon. Just over 12 weeks ago, I did a 5km fun run with work which turned out to be a real eye-opener for me and where my level of fitness was at. As more and more people were passing me out it really hit me that I was in a bad way! So that weekend I built up the courage and contacted The Edge for help. After my first consultation with Harry, he identified where I was going wrong; not sleeping enough, not eating at the right times and not training properly. Having assessed me, Harry then made up a plan and I haven’t looked back since!! 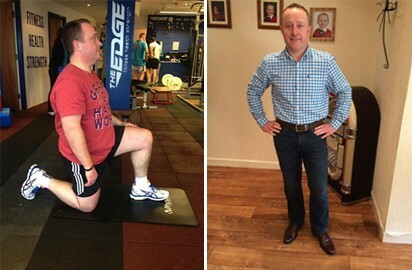 I’ve been training with Harry in The Edge for just over 10 weeks now and have gone from over 103kgs down to 90kgs ! This has been down to a detailed diet and training plan which has been set out for me. The sessions have been tough, Harry never let me get comfortable – changing my programme every few weeks so I didn’t get bored. Harry has been very supportive but also strict when he needed to be… one day I hope to smash up that airbike!! I would 100% recommend Harry or any other trainer in The Edge. 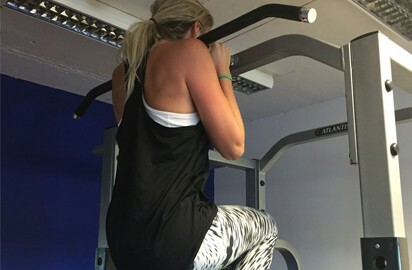 There is a great atmosphere down there and it’s a brilliant environment for people to achieve their fitness goals. 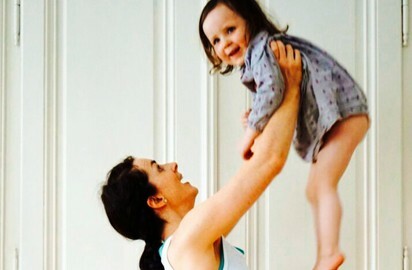 Clódagh comes from a background in Dance and Gymnastics. 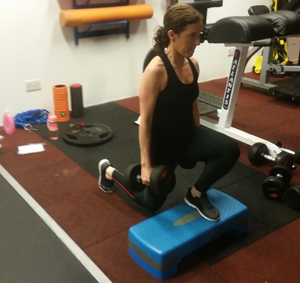 She has worked in many of the top facilities all across Ireland, including the Irish Strength Institute, DCU sport, Mugym,Westwood clubs ,Ben Dunne Gyms, ALSAA and Toned fit. With over 10 years experience in the industry as a Personal Trainer, Class Instructor, Lecturer, and more recently a Dietary Councillor, she has a wealth of knowledge and application in the areas of fat loss,weight management ,strength and conditioning, weight lifting,muscle building and sculpting, lifestyle coaching, team coaching, pre and post natal care, nutrition, Orthopaedic sports massage and a variety of group classes from TRX to Kettle Bells, Cross Fit to Body Pump. 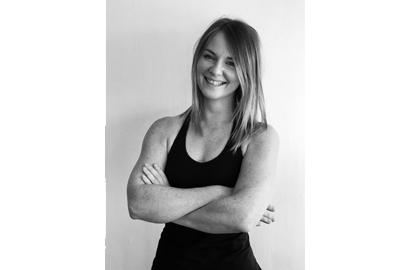 She experience lecturing in Health and Exercise studies and Anatomy and Physiology in ProFi Fitness School and Pearse College Dublin. To book your first consultation with Clódagh, click here. James is the Co-Director of The Edge. He started his interest in the fitness world at the age of 4 with martial arts training. By the age of 15, James had his own Personal Trainer and shortly afterwards won the Tae Kwon-Do World Cup, amongst other international and Irish titles. James studied Nutrition and Exercise Science since the age of 16, when he learned how effective correctly-designed weights, nutritional and energy system training could improve performance and surpass current training limitations. 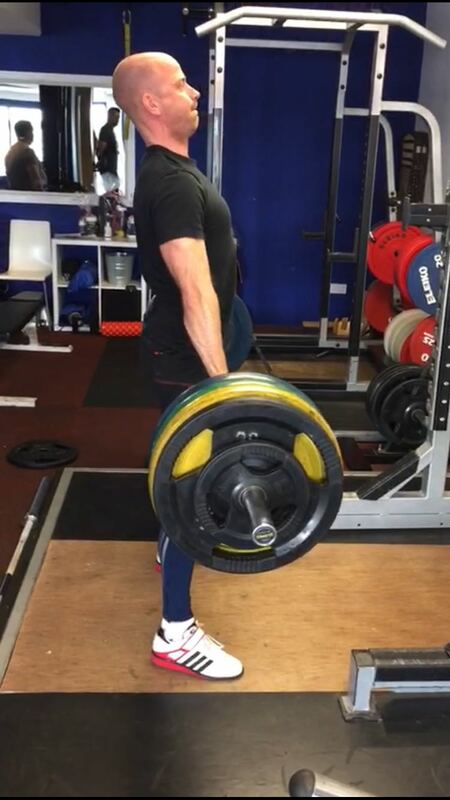 James’ training methodology is to get fast effective results that are sustainable and suitable to every population and is constantly up-skilling and researching to implement the latest in modern training recommendations. James has worked in the industry since 2003 and has undertaken numerous training courses and gained a plethora of qualifications. 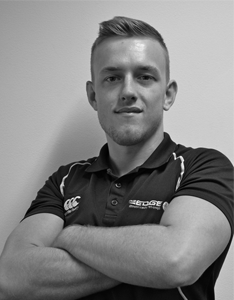 To remain at the cutting edge of the health & fitness industry, James is constantly updating his knowledge by studying Nutrition, Anatomy, Exercise and Supplementation. To book your first consultation with James, click here. 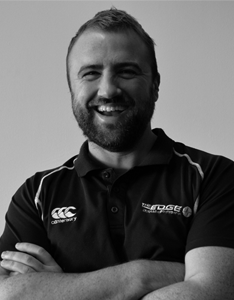 David is a Co-Director of The Edge and has been involved in sport all his life. 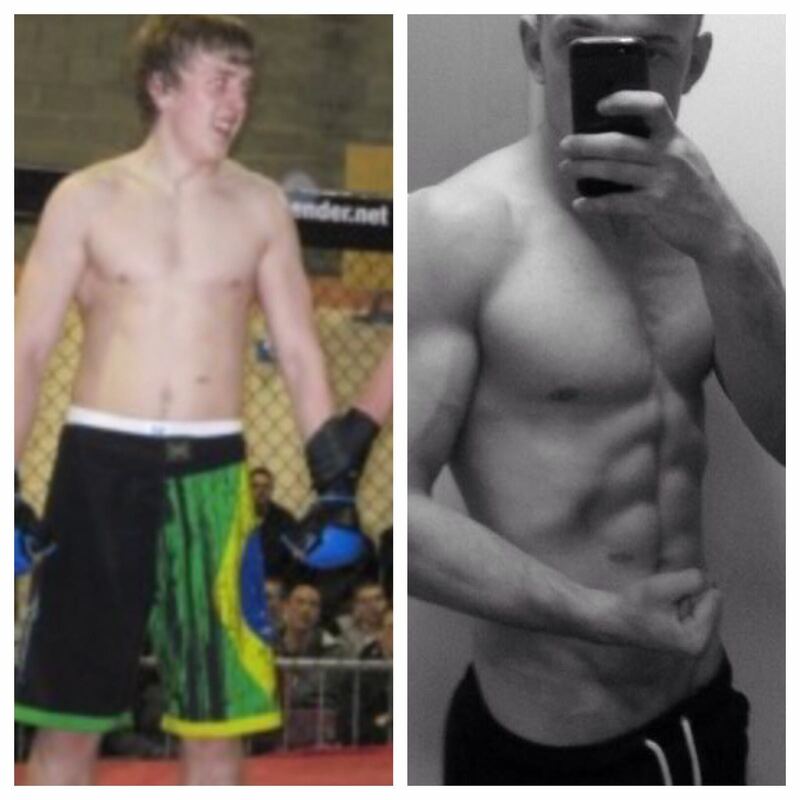 This is where his interest in fitness, health and nutrition began and now this interest is his passion. 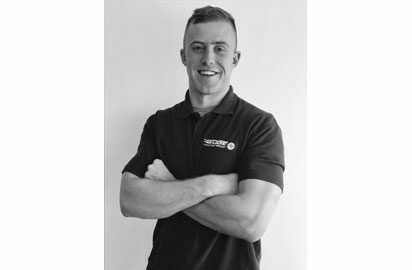 David has been involved in the health and fitness industry for over 10 years. He has constantly educated himself throughout his career, learning from field experts all over the world in areas such as nutrition, supplementation, strength and conditioning. 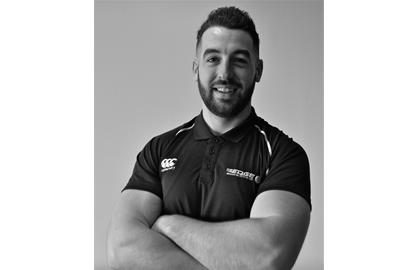 In 2008, David spent one week doing a private internship with top UK Strength and Conditioning coach Phil Richards, working with elite athletes such as premiership footballers and Amir Khan. It is from his extensive education and experience David has achieved such great results with his clients. 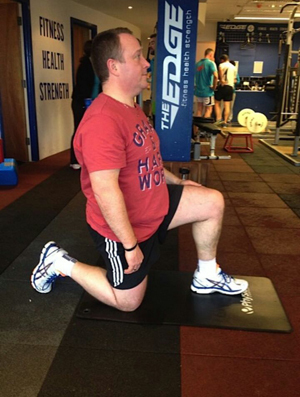 Getting his clients healthy and into the best shape of their lives is what gives David the most satisfaction. 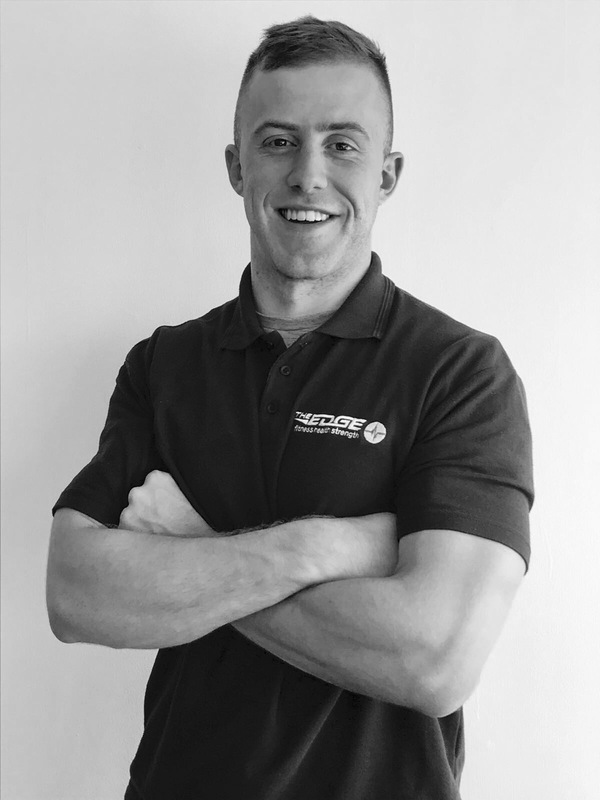 To help share his knowledge, David advanced his career further and became a Resistance Training tutor and Examiner for the National Training Centre (NTC), the leading education body the health and fitness industry in Ireland. To remain at the cutting edge of the health & fitness industry, David is constantly updating his knowledge by studying and researching the areas of Nutrition, Anatomy, Exercise and Supplementation. To book your consultation with David, click here. I decided to get some personal training sessions when I got sick of nothing fitting me any more. Initially it was just for a few weeks to give me a kick start, 6 months later I have no intention of stopping. Since I stared with Harry I have lost roughly 15kgs without feeling like I’ve missed out on anything. I was terrified before my first session between being so out of shape and the fear of the unknown, within minutes Harry had me at ease even though it was tough. He regularly changes my workout plans to stop me getting bored, and knows when to go easy on me and when to push me harder, especially when I’m losing motivation or close to reaching a goal. He’s also great to bounce recipe ideas off so I don’t end up eating the same thing all the time. I’m not where I want to be yet but I know with Harry’s help I’ll get there. I’m very lucky to have him as a trainer and a friend. I would recommend him 100% . 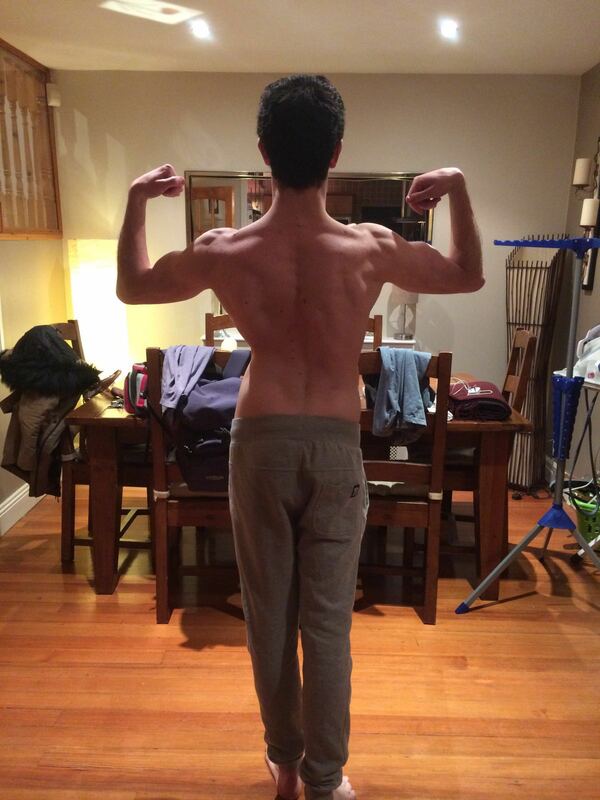 I’ve been training with Chris for some time now and am really happy with the results. 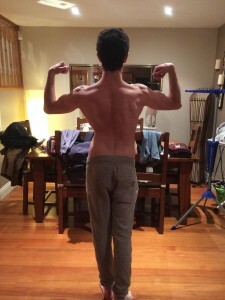 Via a diet and workout plan, I have made some real progress in my squat, deadlift and bench with a well-constructed plan focused on incremental increases- the result being I am stronger than I have ever been, with for example my squat moving from 100kg to 140kg over the past 2 months alone. Supporting this is a focus on diet and getting the right combination of foods and nutrients. I travel a lot with my work and Chris has gone that extra mile by frequently sending programs that I can do at my hotel so that I don’t fall behind my goal. My energy levels are great and I enjoy working with Chris- good laughs and thanks for all the progress so far! It is so important to keep training between events. If I do stop, it can easily lead to becoming rusty and losing the conditioning needed to compete in my preferred sport. 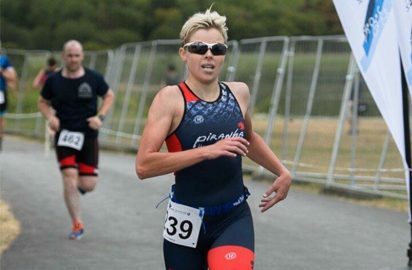 The training itself does not have to be as intense as in competition training as this could lead to burn out, but instead focusing moreso on improving technique and staying ‘ready’. Training with the Edge lads gets me back to competition training so much quicker than before, and I am in the best shape of my life! 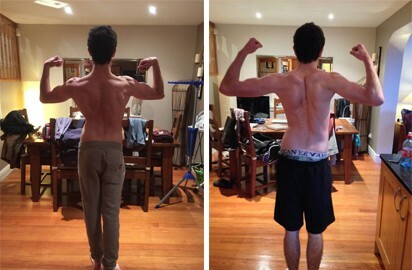 I’ve been training with Chris for seven months now and it’s by far the best investment I’ve made. He took the time to understand my goals and tailor each programme towards them. 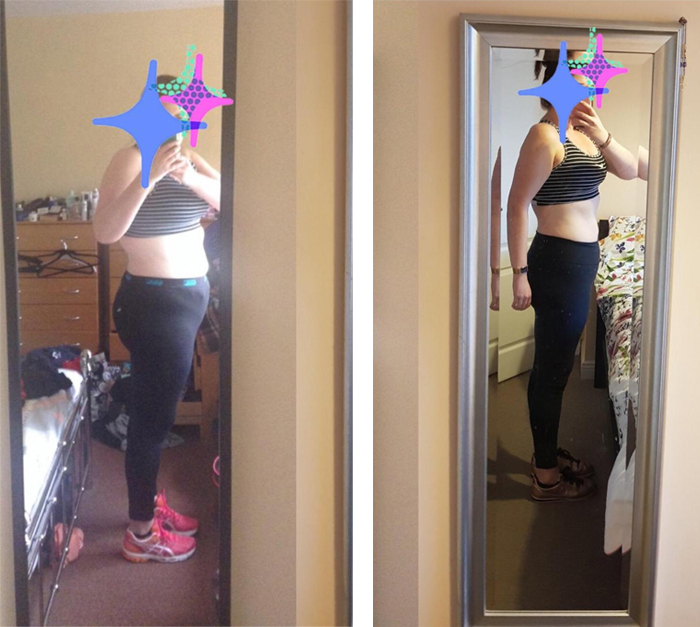 He consistently changed up the programme and monitored body measurements to keep me interested and motivated. Outside of our gym sessions Chris took the time to analyse my food and shared plans to help keep me on track. 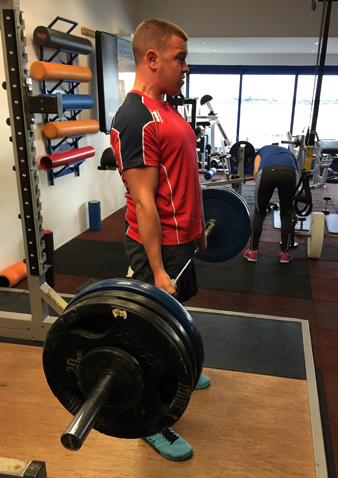 Chris’s impressive knowledge of weight training, diet and his friendly manner makes him a joy to train with I would highly recommend him as a trainer. I had been working out in the Edge with my personal trainer Sean for nearly a year before I found out I was expecting. I typically did 2 personal training sessions a week as well as 2/3 group classes per week. The gym has always been an outlet, I find it so good for my mood and overall wellbeing. 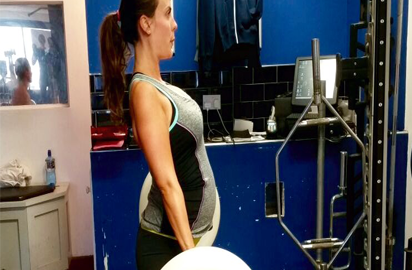 I was really scared telling Sean I was pregnant, I was so unsure about training when pregnant and thought I would have to give up the gym (I obviously had no clue!). I told Sean pretty early on, he was so supportive and really informative. He explained I could do exactly what I had been doing but that he would make adjustments as the weeks and months progressed. He stressed to me about listening to my body and taking things slowly. Once I met with Sean I felt great, I was really relieved and happy with his support and knowing I could continue my training. 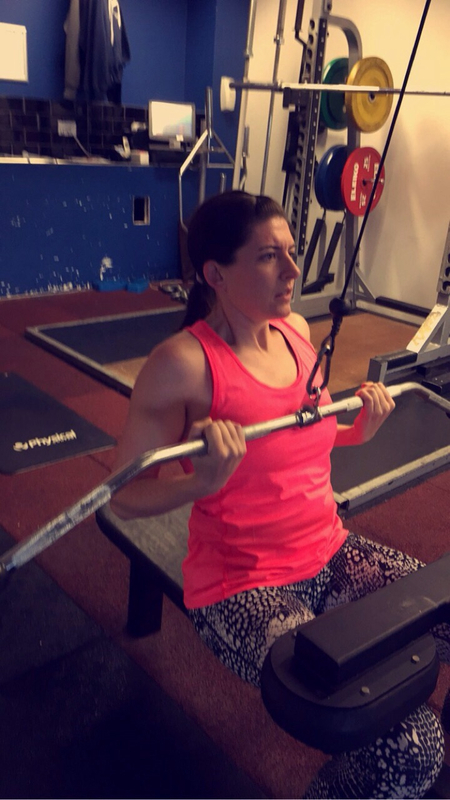 I am really competitive with myself when it comes to the gym and quickly realised that my ability to lift weights and train was just not the same. I battled for the first few weeks trying to keep up with the old pre-pregnancy me but I just couldn’t. I was so frustrated with myself and expressed my concerns to Sean. He kept telling me to take it easy, not to be hard on myself and to listen to my body. So I changed my mind frame, began listening to my body and doing what felt comfortable for me at that time. I quickly got into the swing of things (my new normal!). 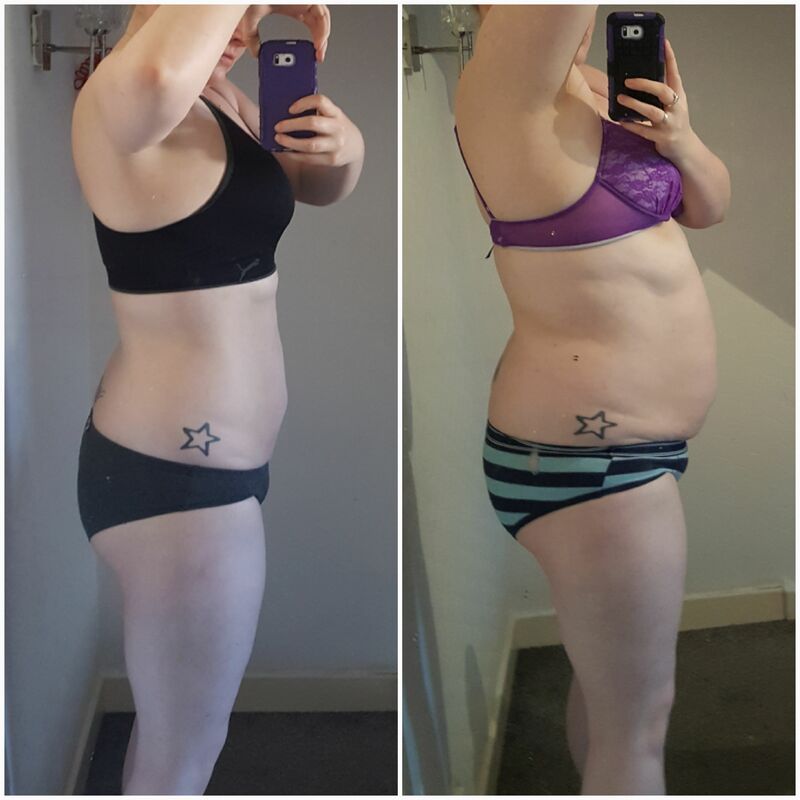 Sean altered my program every couple of weeks depending how far along in my pregnancy I was as different trimesters needed different alterations to my training. Sean was so informative about exercises that were particularly good for pregnancy and always checked in with me about my eating and how I was feeling. I found that when I listened to my body I was more than capable of doing a lot of the same exercises that I did pre-pregnancy. 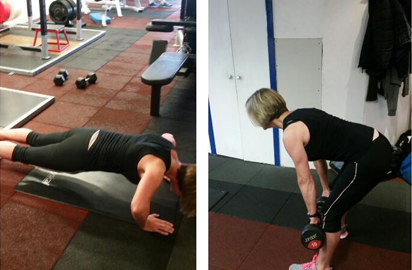 As well as my PT I kept up classes and found all the trainers were great at altering exercises for my needs. They would always check on me and ask how I was doing during classes. Over the 9 months nothing really changed for me regarding the gym, I still trained 3/4 times a week until the end of my pregnancy. I found training so helpful, I had a lot of strength in my lower back and core, as my belly grew which helped me avoid any back pain. I also found training helped with my sleeping as I slept so well throughout (don’t hate me for that!). I trained up to 38 weeks pregnant, and made a decision with Sean to go for walks and keep up pelvic floor exercises for the last two weeks until the baby was due. 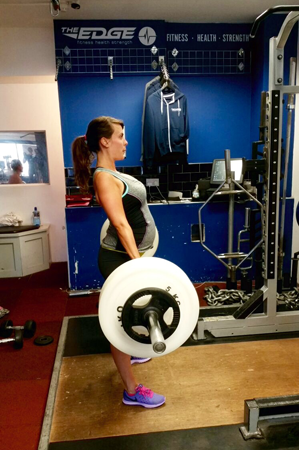 I didn’t fully realise the impact that training had on my body whilst pregnant as my belly was growing by the weeks. But now a few months postpartum I feel my recovery has been amazing because of my training. I have started back at the gym and yes it has been tough getting back into it after a few months off but even after a couple of weeks I feel my strength and fitness is coming back really quickly. Sean and the team at the Edge are great and really informative about training when pregnant as well as post pregnancy training! At the age of 14 years old I was told I had to have an operation to correct a 60% scoliosis curve in my back, called spinal fusion. Post operation, it had only been corrected to slightly above 80% along with 2 metal rods permanently placed either side of my spine from my neck to the base. 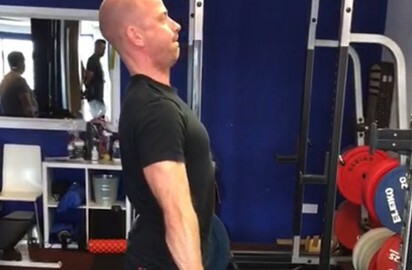 I’ve been training at The Edge with Andy for 6 months now and these problems have totally gone- I feel like my back is stronger then ever along with seeing a massive physical difference and being more confident in how I look. These guys are genuinely fantastic and I cannot thank them enough. 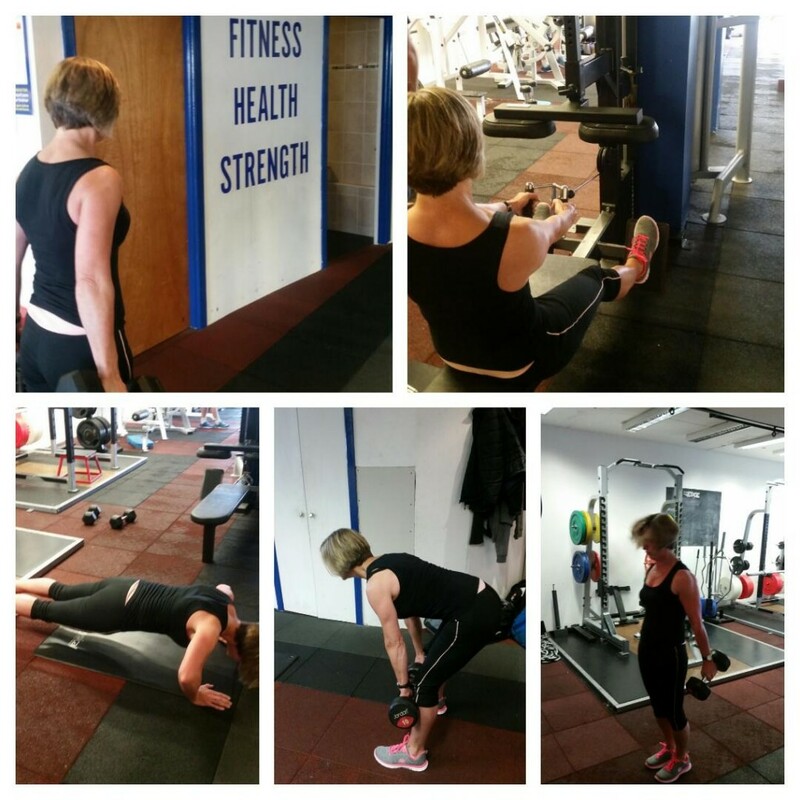 I joined the Xfit course in January 2014 as I’d always wanted to learn more about strength training as well as tone up. 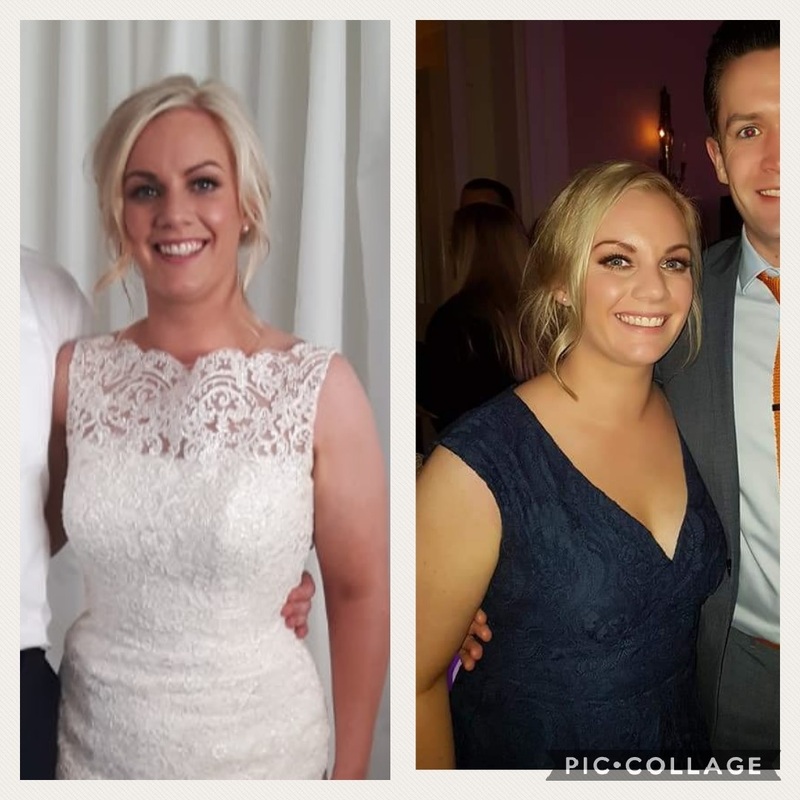 With an engagement in February & my wedding in November, I never looked back! Andrew & Eoghan are great motivators for all the group and push you outside your comfort zone while being patient and giving lots of advice on nutrition. There is also a great buzz and fun element in training with others. 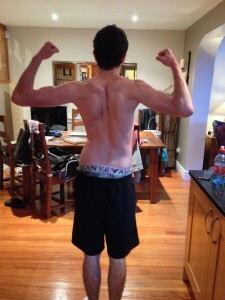 I lost bodyfat while gaining muscle and feel fit and strong. Thanks to all the team at the Edge and I’ll see you back in 2016! After several months of interning Chris was given the opportunity to learn from some of the most knowledgeable trainers in the industry. 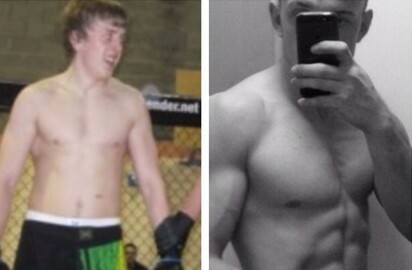 Chris has always been involved in sport from a very young age, from Rugby, to GAA, Swimming to Weight Training. 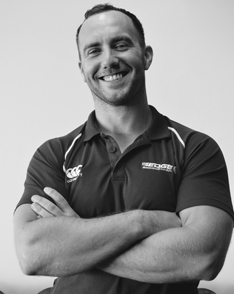 Chris completed his Honors Degree in Business Studies before focusing on his true passion- health & fitness. 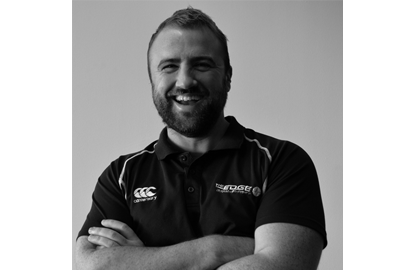 Chris recently completed the National Qualification in Exercise, Health Studies and Personal Training (EQF Level4) in NTC. 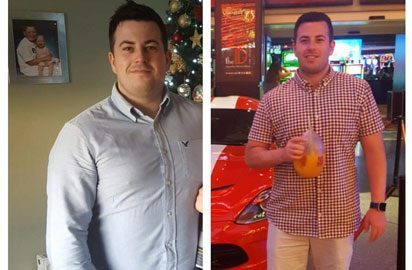 Chris originally started out as a client in The Edge: Clontarf which had a huge impact on his health and his life- he is now committed to helping others reach their own health and fitness goals. 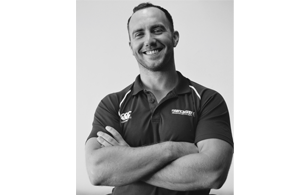 Chris is extremely dedicated to his profession and intends to expand his knowledge by completing the Poliquin International Certification Programs. Chris offers numerous options of training, ranging from one to one personnel training to buddy training and group training. To book a consultation with Chris, click here. Since I’ve started training with Chris I have noticed a lot of changes in myself. I am much fitter, agile and so much stronger than before I started training with him in The:Edge. He has helped me achieve all my targets and I have achieved numerous personal bests, he has taught me not to settle for these so we have reassessed my goals and set new targets for 2016. 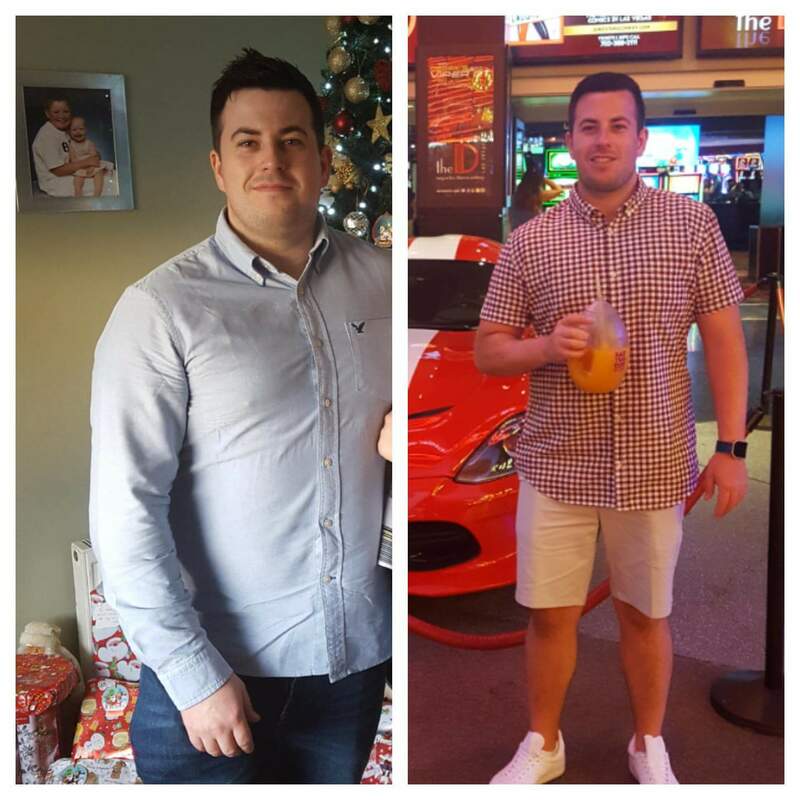 I definitely recommend Chris to anyone who is looking to change their lifestyle, he’s been a fantastic help to me and he’s a great guy to. Thanks Chris for all the work you’ve done for me. I have reached every goal we set out for me, even when I didn’t believe I could achieve it, at the start I never thought i could do chin ups now I’m doing multiple set for reps. I am consistently improving every week with your help. Since I started training with you I have become much healthier and a lot more confident in myself and my abilities. I have dropped 6kg and 4.5% body fat since the start of the summer. Thank you so much for all your support and everything you’ve done for me, you are an inspiration to people like me. I started training with Chris this past summer. 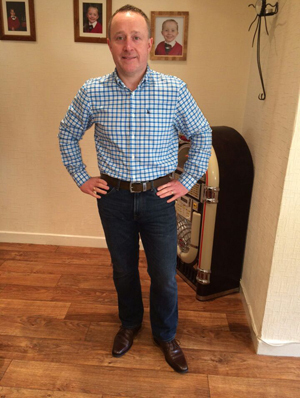 The results I have seen are amazing, I am feeling healthier, stronger and fitter than ever before. His attention to detail is second to none, he has pushed me to achieve things I never thought I could do. Training with Chris has made me be one step ahead of everyone else I compete with. I’ve lost over 4% body fat while increasing my muscle mass. Thanks for everything. Sean Paul has been part of The Edge family for almost 3 years. Growing up, he competed in various sports but his main focus was martial arts. Sean Paul tried his hand at Tae Kwon Do and, from there, progressed onto Mixed Martial Arts and is now one of the top amateur fighters in the country with a record of 9-2 and 3 championships belts to his name. 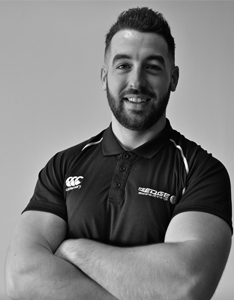 With Sean Paul’s love of sport he looked into becoming a Personal Trainer and continues to complete courses to further improve his knowledge in Nutrition and Exercise Science to give his clients the best chances of reaching their personal goals. I started training with Chris a year ago after spending about 22 weeks in total out of sports due to 3 separate injuries. My goal was to become stronger and stay injury free for the full rugby season, but what I got is much more. Chris is motivating, fun, encouraging and patient all at once and no two PT sessions are the same. As a complete beginner I was new to everything we did but through Chris’s dedication to keeping me on track with my goals I’m now hooked and look forward to my weekly sessions and what we will do next. 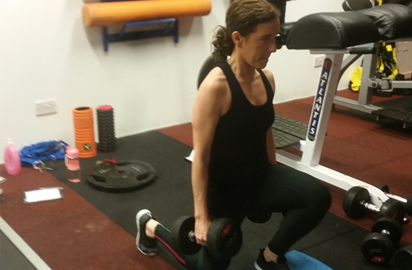 I’d highly recommend training with Chris – he has changed my whole attitude to working out, weights, personal training and food and made me a healthier, fitter, stronger person! I started training with Sean and the guys in the edge 13 months ago. 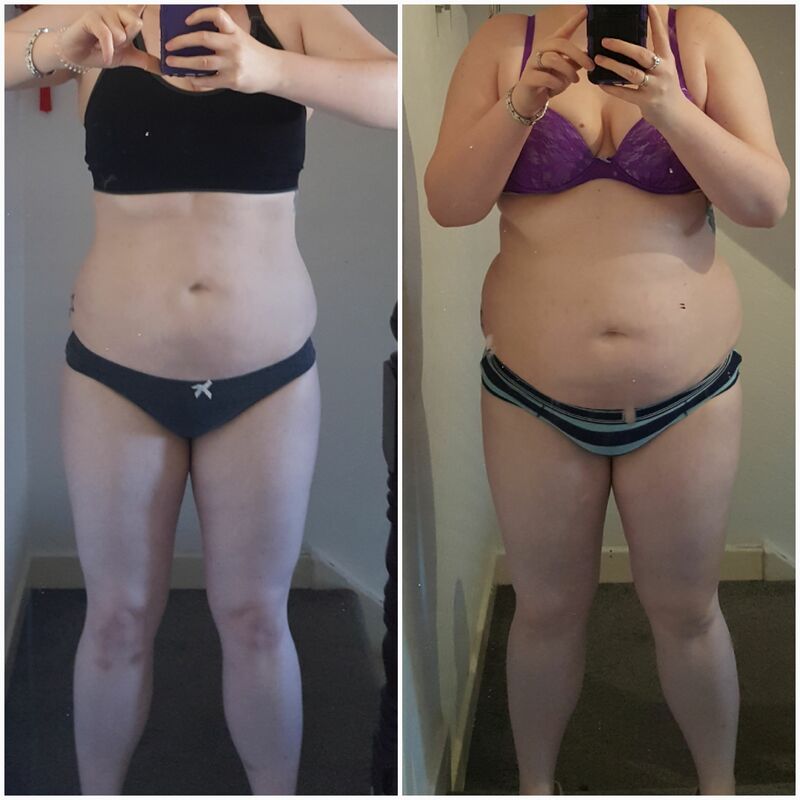 I have lost 9kg and gone from 34% body fat to 22%. 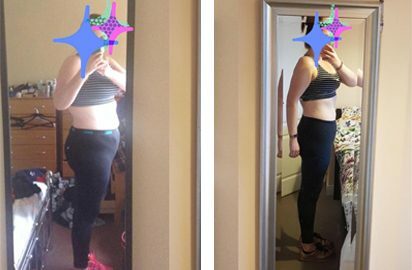 I have also dropped from a size 14/16 to a size 10. At the consultation I was nervous, I didn’t really know what to expect as I had never been to a gym like the edge before. Sean was great, we spent about 30 mins chatting about my food and lifestyle. I returned the next day for my first pt session and they haven’t been able to get rid of me since! It’s great to have my own trainer, he makes sure I’m doing every exercise correctly and is always pushing me. He also gets me to keep a food diary and has talked me through the changes I needed to make as well as recommending supplements. He keeps a good eye on me each week to make sure I stay on track! I have never been fitter, stronger or had more energy. All the trainers in the edge are so professional and take a genuine interest in my progress. The atmosphere in the gym in great, both trainers and other clients are so friendly and supportive. 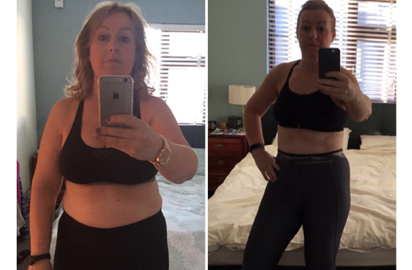 I first went to The Edge with the aim of losing a few pounds and improving fitness – having failed miserably going it alone! I didn’t know the first thing about nutrition or fitness ahead of my first session but this was not a problem. Eoghan is a credit to his profession. His vast knowledge of all things health, strength and nutrition related coupled with his expert guidance and motivation makes success the only option. I’ve lost weight and lost all the bad habits too and I definitely couldn’t have done it without him. He’s always on hand to answer any questions and checks in to ensure things are going as they should be. For me, it’s about more than weightloss, it’s a much welcomed lifestyle change. Thanks Eoghan! For anyone who wants to lose weight, improve fitness, drop bad habits and actually enjoy the process, I would recommend a visit to the pro’s at The Edge – you won’t find it daunting and more importantly it works. I have been training at The Edge for 6 months now. I was reasonably aerobically fit as I swim a couple of times a week but I wanted to lose bodyfat and gain some strength. After 6 months my body fat has reduced by just over 10%, I have lost c. 4kg and can almost squat my bodyweight. I am now in the shape of my life – fitter, stronger, healthier, have dropped a dress size and am going a lot faster in the pool. 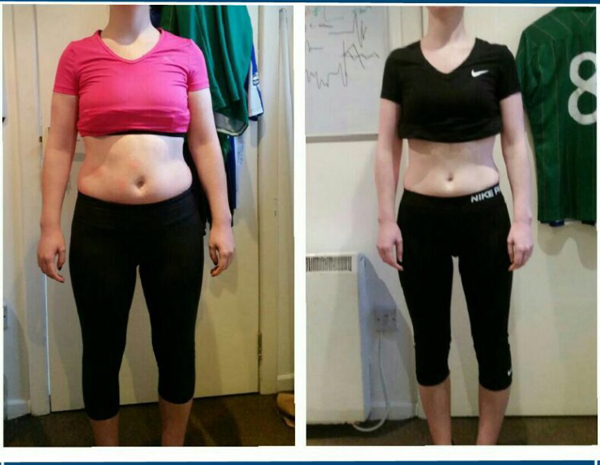 The results have far exceeded my expectations – I had PT sessions twice a week with Eoghan initially for about 4 months and now once a week. Eoghan has challenged me, pushed me and encouraged me all the way and I can honestly say while it has been hard at times I have enjoyed (almost!) every minute. Based on his advice I have also changed my eating habits which has been instrumental in reducing my body fat. 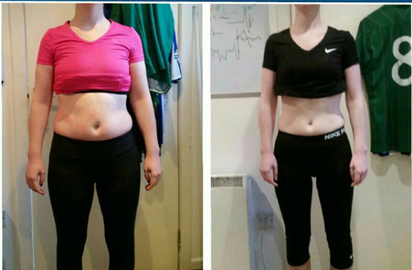 This isn’t like your usual low fat diet, it is a lifestyle and it works. I have learned so much about food from Eoghan and found it all surprisingly easy to do. I love my food and I have really enjoyed this aspect of the training. I always look forward to my weekly PT sessions and now balance them with a Bodyfit class during the week and a gym session at the weekend. It would be fair to say that I am now well and truly hooked and while at the start I felt that paying for a PT was a bit extravagant I believe it is worth every cent and can’t recommend it enough. I absolutely loved the weeks doing X-fit. I can’t believe how good I feel and I learned so much about food. It was an eye opener. I can’t wait to come back from Vienna and get back into it. Thanks to you and Andy for being so good at your job! 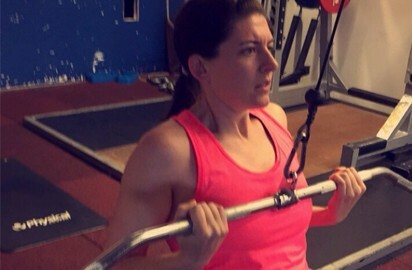 My goal for the next set of X-fit is 1 chin-up! !